Going out with friends or go shopping at week-end can be an interesting activity to distract your boring daily routin. To enjoy your fun time when you are outside you may need to sunglasses to keep your eyes comfortable. Wearing a black sunglasses is match with casual style. Surely, this is a very nice thing to enjoy your day confidently. In this post, you’ll find some casual styles with black sunglasses that will make you look good. Wearing a black sunglasses with dark outfit will make you look so cool. Grey and black is matching with your sunglasses. Black leather jacket makes you look more impressive. Combination of white dress and sunglasses is harmonious. Surely, this harmony makes you look so beautiful. Go shopping with this style is fit for you to do grocerries freely. Blue denim outfit is casual style you have to try. Wearing a sunglasses with blue frame will make you look so cool. 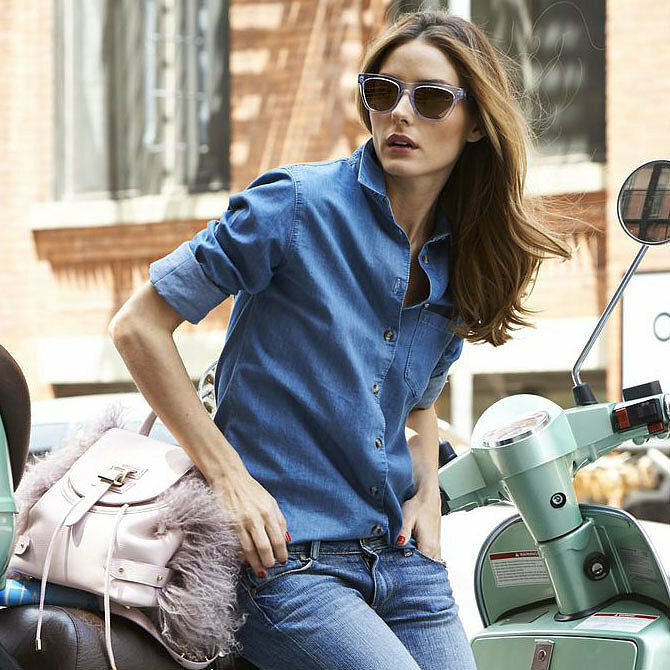 Go arround the town by riding a scooter with this casual style is very nice. 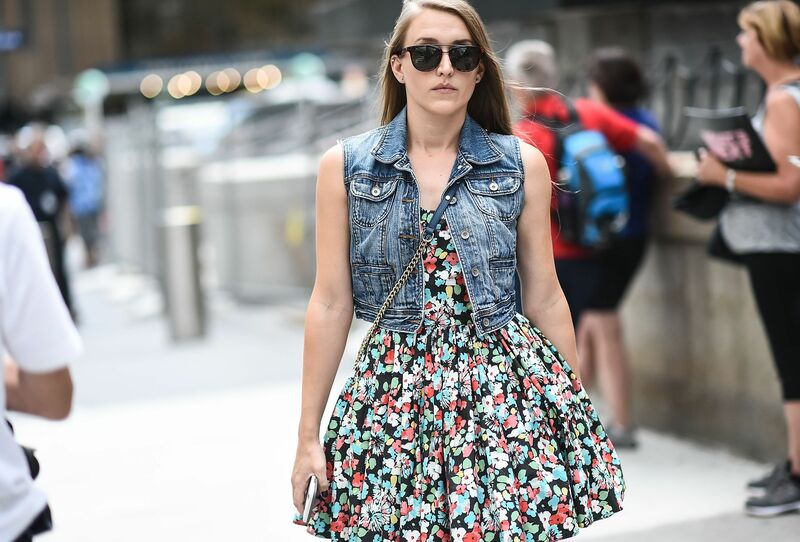 If you want to look girly when you going out at the day, you can match a floral mini dress with denim vest. This style is casual and match with your sunglasses. Enjoy your favorite coffee in your leisure is fun. Wearing a black simple dress, sneaker, hat, with sunglasses is awesome combination. You’ll look really enjoy your day. Next casual style you can try is flare mini skirt. You can combine it with white T-Shirt, denim jacket, and hat. Wearing boot or flat tied ankle is fit with this style. T-Shirt, Hot Pants, and Knee Boot with Sunglasses. Get some air by driving car is nice. To make you look chic, wear a red T-Shirt and hot pants. Match the color of knee boot with your black sunglasses. Sunglasses is also fit to combine with denim pencil pants and tanktop. You’ll look so fresh and cool with this casual style. Do you want to visit your family at this week-end? Just try this style to create a delight moment. Ripped denim pants with long cardigan look so simple and casual. Sunglasses is also fit to combine with hoody. It’s not only make you look good, but also keep you comfortable. Grey can be the best choice to fit with your black sunglasses.